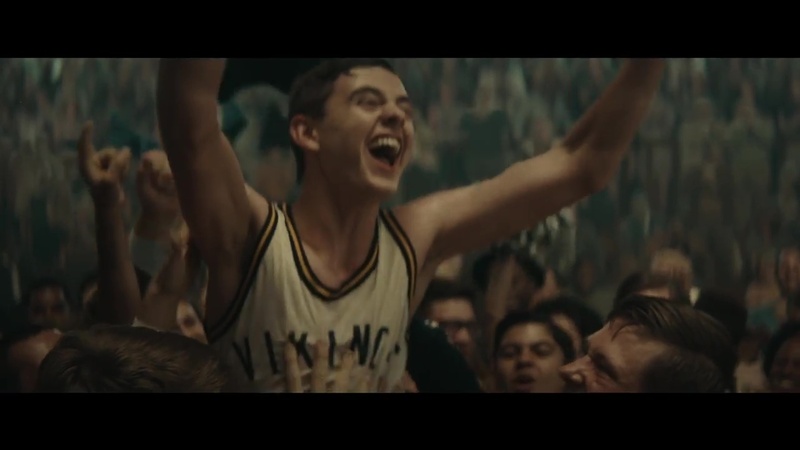 A young man sinks the winning shot in a basketball game to the delight of the home crowd. But in the post-game locker room, the story takes a turn as the hardwood hero, now alone, is confronted by two men in suits. A fight ensues in which the lad throws one of the men literally through a wall. The other guy retaliates, slamming the basketball player against a wall of gym lockers. It’s then revealed that our game-winning jump shooter is a robotic creature. Now disabled, he is dragged out of the locker room by the authorities. A super simply reads, “From sports drama to sci-fi,” underscoring the wide range of entertainment fare available through AT&T. Titled “Shot,” this cinema ad continues AT&T’s “More for your thing” campaign from BBDO New York. This past summer, AT&T debuted a series of cinema spots which blended movie genres in completely unexpected ways--romance and horror in “Surprise” and suspense and a musical in “Bus.” The campaign has AT&T in partnership with NCM (National Cinema Media). Client AT&T BBDO New York David Lubars, worldwide chief creative officer; Greg Hahn, chief creative officer, NY; Matt MacDonald, group executive creative director; David Povill, David Cuccinello, executive creative directors; Kevin Mulroy, Dan Kenneally, creative directors; Julie Collins, group executive producer; Jessica Coccaro, executive producer; David Rolfe, director of integrated production. Production Biscuit Filmworks Steve Rogers, director; Shawn Lacy, partner/managing director; Jeff McDougall, Holly Vega, exec producers; Rachel Glaub, Mercedes Allen, heads of production; Karen O’Brien, line producer; Adam Arkapaw, DP; Bruce McCloskey, production designer. Editorial Work Editorial Rich Orrick, editor; Chris O’Brien, assistant editor; Jane Dilworth, Erica Thompson, exec producers; Jamie Lynn Perritt, producer. Telecine Company 3 Tim Masick, colorist; Keven Breheny, producer. VFX KEVIN Tim Davies, executive creative director/partner; Mike Dalzell, head of CG/CG supervisor; Sue Troyan, sr. exec producer/partner; Jami Schakel, VFX producer. Music/Sound Design JSM Music, New York Joel Simon, chief creative officer, composer; Jeff Fiorello, exec producer; Nathaniel Morgan, Jason Krebs, composers; Nathan Kil, sound designer. Audio Post Sonic Union, New York Paul Weiss, engineer; Justine Cortale, Pat Sullivan, producers.